Discussion in 'The Lounge' started by scottishmark, Jun 18, 2012. "Two years ago, William Kim Flint was killed on his bicycle as he allegedly tried to beat a Strava speed record. This morning, his survivors say they plan to file a negligence lawsuit against San Francisco-based Strava, claiming Strava are responsible for ensuring the crowd-sourced routes are safe. Strava users upload GPS tracks to the popular service for cyclists and runners to compare their times against themselves and other users. Cyclists create segments to compare themselves against other cyclists who ride the same portion of a route. Since Flints death in June 2010, some people believe Strava encourages people to ride recklessly so they can improve their rankings on Strava. Flint was apparently going for a new record on South Park Drive in the hills east of Berkeley, California when he slammed into a car, and speculation began almost immediately that Strava might share part of the blame. 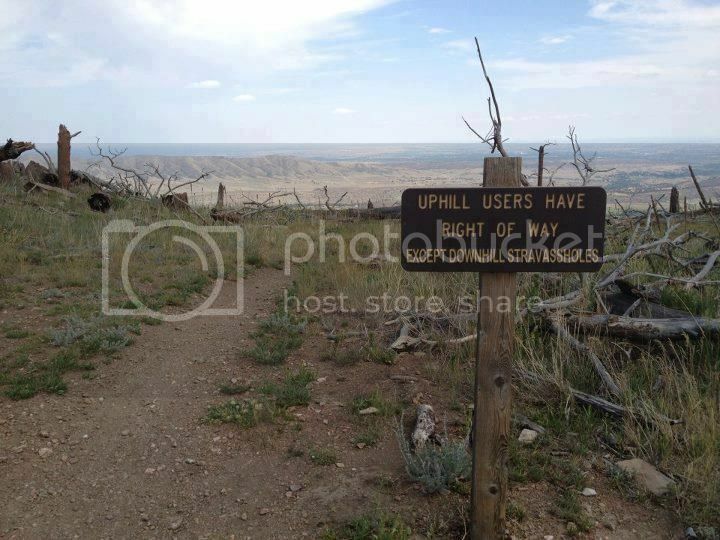 Strava has no comment on the pending litigation . I wonder if their risk management planned for a lawsuit like this?" This is total B.S. People (and their survivors) need to take responsibility for their own actions. This crap has brought an unwelcome element to some of my rides but I don't blame Strava, I blame the people who use it. If it wasn't Strava it would be some other web-based, crowd-sourced dork fest. fvcks are to precious just to be given away all willy nilly...fvcks must be earned. Any good civil defense lawyer should be able to get this kicked out of court. Contributory fault in a risky activity. Racing of any sort is an inherently dangerous activity. damn, does this mean the app will cost money now so they can pay for their lawsuit. stupid people. William Flint set a PR and is now DOA on the South Park Dr. segment. I love strava, and the only KOM's I can get are downhill. Frankly, I don't think people realize that road bikes don't stop well. Darwinism for cyclists. When I first saw the title I figured someone had a heart attack trying to break a KOM record. Hey, I like to push it on road descents. Recently, I hit 50.2mph on a drop from Mt San Bruno, and I am now 13th out of 440 on that particular Strava segment. What would happen if GPS did not exist? Well, I would still take risks, which is why I am able to descend 50mph. I have always been a fast and fearless road descender since my teen years. But I also made some calculations on my ride, like crossing intersections and road conditions, so I knew I could let it fly. South Park Drive, where Flint died, has two gotchas, several parking lots where drivers are not expecting 50mph riders, and no shoulder. We all take risks on our rides, and yes Strava makes its a little more competitive. But you have to ride your own ride. One thing to risk your own life, but it is my understanding that a cyclist who recently killed a pedestrian in SF was trying to set a Strava record. That puts an entirely different slant on it. You will not be shocked to know that Cecil blasted past Greg's girl in B.C. trying to set a Strava record and made her lividly upset. How is a Strava record any different than a dare? Other than the fact it's electronic, it comes down to someone besting someone else. Strava isn't responsible for stupid people. If only there were an app for that. That story has been on the news for months now and no one has mentioned Strava. You're not bull sh!tting me are you? 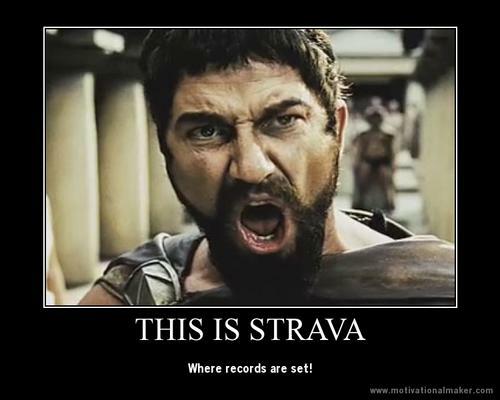 Did he shout "THIS IS STRAVA!" It's been mentioned since the beginning that his GPS was recorded via Strava (hence it's how they knew he was doing ~35mph just before the accident), and that his account there was deleted after it became known that the police were looking into using it for criminal prosecution. Whether he was trying for a KOM or not is pure speculation at this point, and unless he said something overtly incriminating, only he knows for sure. If you taste glory in beating some other amateur you don't know, it's time to re-evaluate why you're on your bike. But that's me. I will never relate to people who need some sort of measurement to validate their rides. On my commute, I use Endomondo to track my pace and I try to do the same or better. But it's a personal thing and it never equates to putting myself or others at added risk for the sake of an imaginary number. Time is a construct of man, nature couldn't give two sh!ts. I have been following that case carefully, and while he did post his felonious ride on Strava, he did not mention he was trying to set a record on his google groups posting. On that note, a segment leading into a busy intersection is not safe and should be flagged. I still use Garmin Connect as my primary site for recording and analyzing my rides but I do also upload to Strava to use the segment feature. Its fun to measure myself against others but primarily I like to see my progress. I've been using the training feature (lets me race against a previous track. My own or someone else's) on my Garmin Edge 705 for awhile now. Time is a construct of man, nature couldn't give one sh!t. I gotta say, Strava can honestly be really damn awesome. It depends on what you use it for. It has been damn useful and beneficial to me for sure. Then again, I am not a total moron who thinks that I am on a closed race course and the magical powers of Strava are protecting me. I got the app because a couple of my Dh buddies were using it and we started to do some segments on some of the trailbike DH sections we ride all the time anyway. Its cool, you just can't be a douche about it. 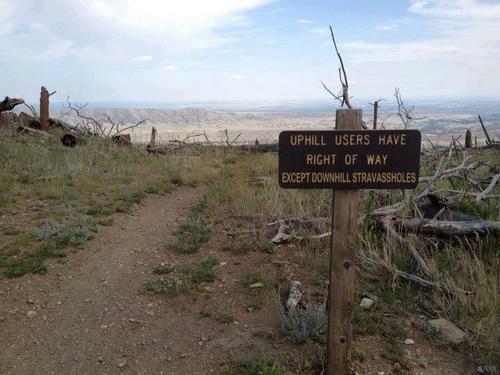 Pretty much if you are on singletrack and you see another rider coming the opposite way, its time to shut it down. Besides pedaling harder, I don't really ride any different than normal. But I don't care that much about the segments, I just use it to track my rides which I have never really done before. The best thing about it for me is that I can see what routes others are taking and learn some new trails and loops to do which is always a good thing. Because of a broken hand, I just got back into road riding for the first time since, hell, when I was in college ( I am 37 now). So, I started riding these back roads around my house, and these segments starting popping up. So I got to see what other routes the local roadies were taking which showed me a ton of great riding from my house, and the safest ways to stay off the main roads. One thing it does do, is show you your strengths and weaknesses. On the road segments, the ones I am at or near the top on are the short 2 to 5 minute hills where you just power up them. Considering 2 to 5 minutes is the average DH course length and that I have been racing DH for 17 years that makes sense. I get smoked on the 30 minute climbs though. Its cool if it is used properly for fun or even motivation or training. Its dumb if you put yourself in danger or you really think you are racing. Don't be cat 6ing up the roads and trails. Its been positive for me, I have been riding more and enjoying it more and that is all that really matters. I originally joined Strava for the many training tools. I no longer use lap times to measure my training but the segments. I think much of Strava is fun, like knowing how fast Mark Weir is on 3rd Divide (which means how slow am I), or how many miles did Mary Moncorge do on her ride today. I also enjoy seeing my friends' rides. To me, it is like Facebook. There are very good putdowns about sharing your daily thoughts and ideas. Yes, the Flint death highlights what happens when you push it too far. But what would have happened if he didn't use Strava? Would he have gone significantly slower? How come none of you guys are following me on Stava? Well douglas is, but that's it. All that should matter is douglas is! So. Even though I was using the drill properly and within accordance to its directions as per safe operation. I cannot sue for the sliver I got in my thumb that became infected? Maybe Dewalt will settle out of court? Strava should count sue his parents for not teaching him proper risk evaluation. Um,....me? I've never eaten a Hot Pocket. I think I would have to be in serious danger of starving to death to even consider it.